Ozone is three oxygen atoms bound together, shown as O3. It seems simple, but it is also one of the most powerful natural sterilizers on the planet. 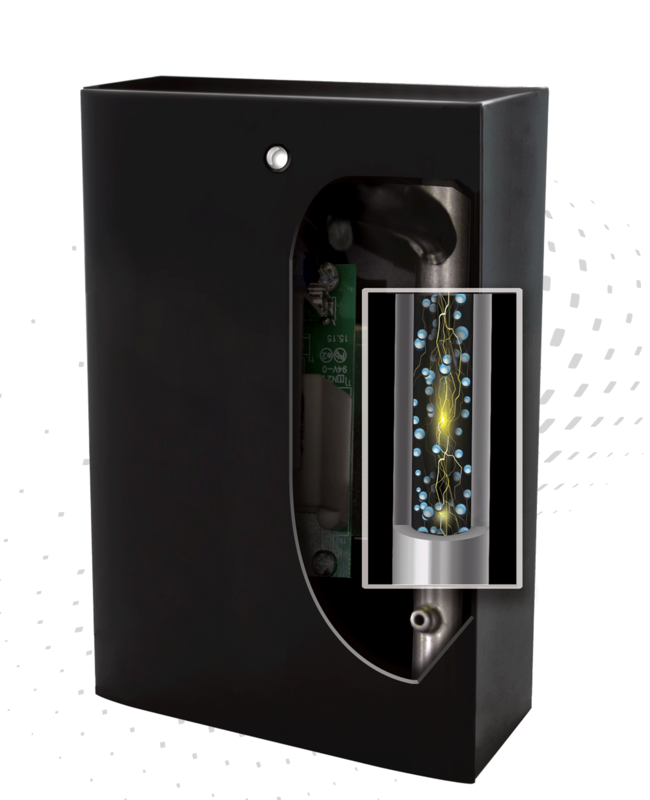 When added to our Ion Pro filters, the ozone generator uses the air already being drawn into the system and converts it into ozone before it travels into the tank. The additional oxygen atom handles any unwanted elements inside your filter, cleaning it with every regeneration. Any ozone that is unused dissipates for an eco-friendly, chemical-free cleaning routine.